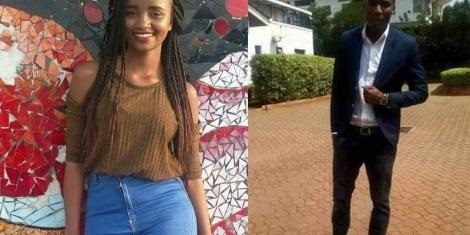 Home / Entertainment News / Here are lessons all MEN should learn from IVY AND KINUTHIA, See why you should have atleast 1 main chick and 2 side chicks. Here are lessons all MEN should learn from IVY AND KINUTHIA, See why you should have atleast 1 main chick and 2 side chicks. LESSONS WE(MEN) NEED TO LEARN FROM IVY & KINUTHIA. Dear Kinuthia, you had no right whatsoever to Kill Ivy. In case you missed the Men's conference of February, i heard they covered this unit extensively. "Sending money to a woman or being in a relationship with her doesn't make you own her! It is very very naive to imagine ati simply cos dame ameingia box yako now her life must revolve around you. A real man should have one girlfriend he truly loves, two side-chics he sees occasionally and a secret crush he flirts with. If the beautiful girl you truly love reciprocates and shows you loyalty, gradually eliminate the side chicks and marry her. If the beautiful girl you truly love leaves you for another man or cheats on you, immediately give attention to the 2 side chicks and double your efforts on winning the secret crush. Remember, for every 14K that you send her, there's a more financially stable man who sent her 45K last week to 'pay' for her exam. Until you've married a girl, jua mko wengi kwenye kinya'nganiro cha 2027. She has a right to eat all your money, and later decide who she wanna be with or not. Likewise, you have aright to engage multiple girls. If you had been cheating on Ivy....you'd not have felt so angry by rejection. The guilt of cheating buildeth future shock-absorbers in case bae dumps you with no reason like former Sports CS Echesa who was sacked by Uhuru. If Ivy amekuzimia simu, respect her space. Don't be petty, insecure, jealous, a psycho, or a nincompoop. Just pick your damn phone and call Carol, muulize mbona siku hizi umenyamaza hivo? Ukiona hajiskii, chokoza Jane.....muulize utampeleka lunch lini? If Jane ameingia box and unaona mnaenda kejani....text Ivy and tell her "Babe, you may switch off your phone....but just know i love you to the moon and back. Nalala sasa". Weka simu pilot mode. Pepeta Jane kwa ukakamavu na fujo. Let Ivy switch on her phone late at night, apate your message....ajaribu kukupigia bt uko off. Mtaambiana sorry kesho morning about kuzimiana simu. It becomes a win win situation for everyone, no life lost. Are we togeza? Hii si ni points tupu? Mmmm.... vijanaa mpo?